Damascus: Details are scarce about what led Mahmoud Al Mabhouh to become one of the founders of the military wing of Hamas, which has carried out hundreds of attacks and suicide bombings targeting Israelis and rules the Gaza Strip. He was not one of the towering figures of the movement and was little known to the people of Gaza, having left the territory in 1989 to work abroad. Israel considered him to be the point man in smuggling rockets into Gaza. He also was involved in the 1989 capturing and killing of two Israeli soldiers. Born on February 14, 1960 in the Jebaliya refugee camp in Gaza, Al Mabhouh was the fifth of 14 children. He dropped out of elementary school, began an apprenticeship as a car mechanic and eventually opened a garage, according to his younger brother, Fayek, who still lives in the camp. "We were a large family, but we were not poor," said Fayek, speaking after a memorial rally for his brother attended by about 3,000 Hamas supporters on Wednesday evening. He also was a keen sportsman who once won a body-building tournament in Gaza, Hamas said. 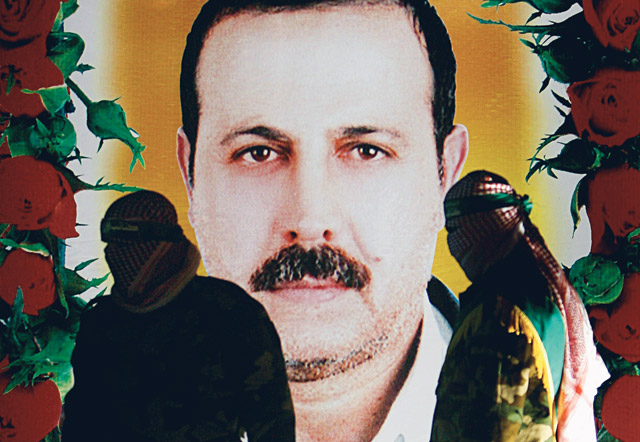 By his mid-20s, Al Mabhouh had grown increasingly interested in the armed resistance, and joined the Gaza branch the Muslim Brotherhood, the pan-Arab movement of which Hamas is an offshoot. After going to prison for a year in 1986 for weapons possession, he got to know the Hamas movement's founder, Shaikh Ahmad Yassin. A year later, with the outbreak of the first Palestinian uprising, he joined its military wing. His first child, Mona, now 24, was born around this time, followed by Abdul Rauof, Majid and Ranim. In 1989, Al Mabhouh was involved in killing two Israeli soldiers on leave. The deaths prompted a raid on Al Mabhouh's home in the Gaza Strip in which Israeli forces dropped onto the balcony and roof and stormed through the front door, said Hamas. Israeli soldiers disguised as farm workers staged a simultaneous raid on his garage. But Al Mabhouh escaped and went into hiding for two months before crossing the border into Egypt, Hamas said.